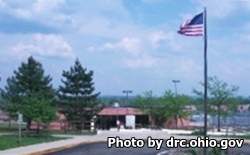 Dayton Correctional Institution is a mixed custody prison that houses approximately 900 minimum, medium, close custody, and maximum security inmates. This facility places a strong emphasis on preparing inmates for release through re-entry programs. Re-entry programs teach inmates the skills they will need for job interviews, resume writing, and re-establishing themselves in society. Academic courses teach adult basic education and provide the inmate courses and testing to earn a GED. Dayton Correctional Institution has an adoptable dog program that allows inmates to work training and preparing abandoned dogs for adoption. Vocational training in plumbing, landscaping, animal training, tailoring, food production, and HVAC teach the inmate a new skill they can use for employment once they are released. Additional religious worship services and biblical studies are made available through the Chaplain's office. Anyone who is visiting Dayton Correctional Institution for the first time is required to attend visitor orientation which occurs at 12pm and at 4pm on visiting days. All visitors must schedule their visit at least seven days in advance by emailing DRC.VisitationDCI@odrc.state.oh.us. In your email include your full name and any other adult visitors who will attend with you, for minors include the word "minor" next to the minors name. You must also include the inmate's last name and identification number, as well as the date of the visit and the time of your visit. You will receive a reply to your visitation request within 72 hours. You may bring up to $50 in small bills or coin to purchase items from the vending machines. Visiting Occurs on Wednesdays, Thursdays, Fridays, Saturdays, and Sundays in two sessions from 12:30pm-3:30pm (must arrive by 2pm) and from 4:30pm-7:30pm (must arrive by 6pm). Inmates can also receive video visitation through JPAY for a fee. Visits are 30 minutes in duration and occur from 8am-10am, 12:30pm-3pm and 5:30pm-8:30pm.